European Christmas Market aims to exchange and promote cultural values with international visitors and local residents by celebrating Christmas in the European tradition. Visitors can experience European Christmas through food, music, performances, and other enjoyable events. The event is held at the Seongbukcheon Fountain Square in Seongbuk-dong, Seoul, Saturday and Sunday, from 12 p.m. to 7 p.m. It is open to visitors of all ages. For more information in Korean, English, Japanese and Chinese, call the travel hotline at 1330. The homepage (www.sb.go.kr) is only in Korean. 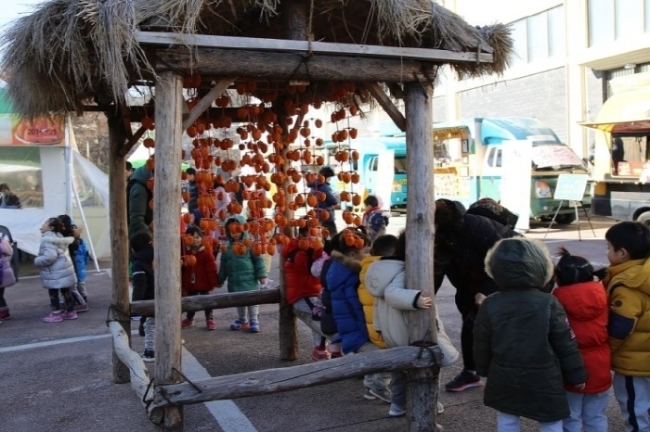 Yeongdong is the largest fruit-producing center in Korea.During the Yeongdong Dried Persimmon Festival, fruit growers and customers alike gather to celebrate one of the region’s most famous fruits. 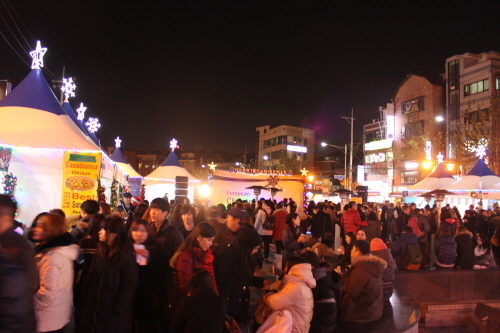 Events include the Yeongdong Dried Persimmon Concert and the Yeongdong dried persimmon sale event. For more information in Korean, English, Japanese, Chinese, visit the homepage at www.ydft.kr. 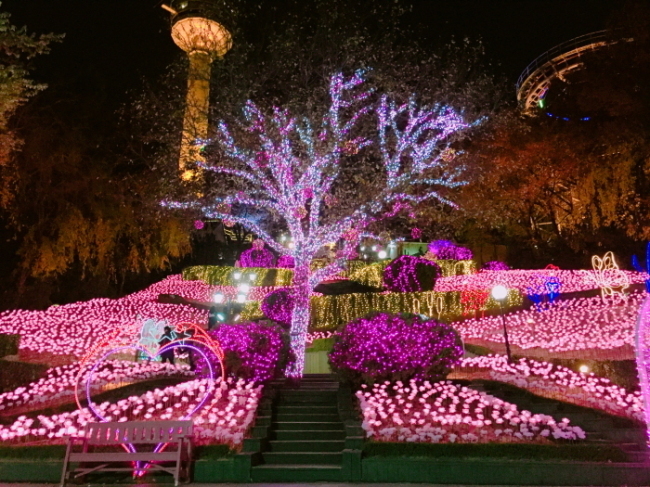 Byeokchoji Botanical Garden features Paju’s sole lighting festival close to nature. The festival continues until March 3. The venue is a filming spot for more than 100 dramas, movies, advertisements, and music videos annually. The opening hours are between 1 p.m. and 10 p.m., and the lighting begins at sunset. Admission fees are 9,000 for adults, 7,000 won for teenagers, 6,000 won for children and senior citizens. There are no fees for those aged 3 or under. For more information in Korean, English, Japanese and Chinese, call the travel hotline at 1330. The homepages (www.bcj.co.kr) are only in Korean. 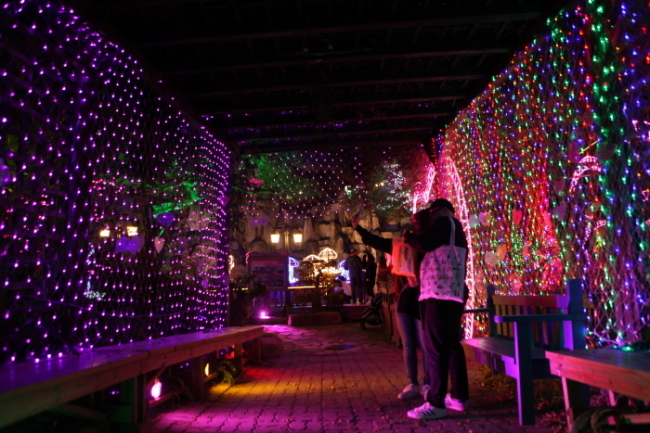 The Herb Island Lighting & Illumination Festival features a pink wish tunnel, sparkling buildings, Santa Village, photo zones and other twinkling places for visitors to enjoy.